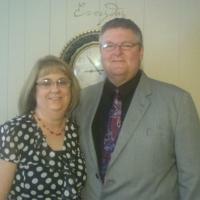 When you join us at Paragould Church of God, you will be welcomed into a loving church family. We know that we are not perfect, but with the help of the Holy Spirit, we are striving to be more like Jesus every day. We are dedicated to reaching out to the hurting in our community and our world, to help them find hope, help, and healing through Jesus Christ. 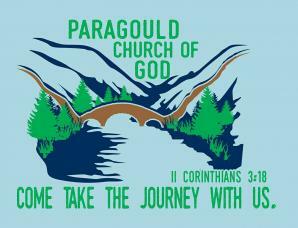 Paragould Church of God is a place where everyone in your family—from the youngest to the oldest—can grow spiritually. We are a family of believers committed to sharing the gospel of Jesus Christ while cultivating and discipling Christians of all ages through worship, preaching, teaching, and prayer. We are devoted to demonstrating the love of Christ through believing, living, and acting on the living Word of God. 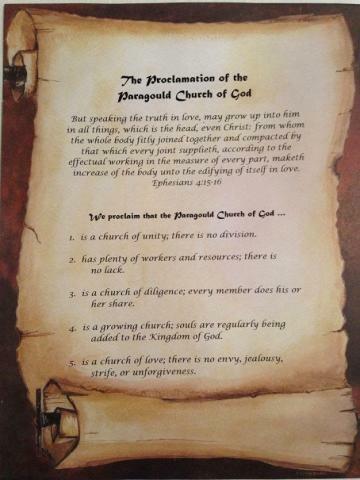 We proclaim that the Paragould Church of God..
is a church of unity; there is no division. has plenty of workers and resources; there is no lack. 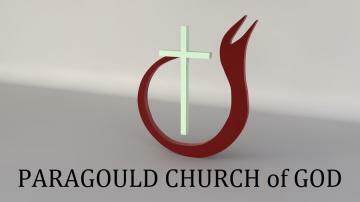 is a church of diligence; every member does his or her share. 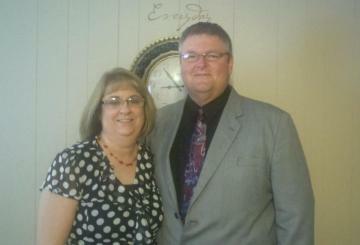 is a growing church; souls are regularly being added to the Kingdom of God. is a church of love; there is no envy, jealousy, strife, or unforgiveness.